Rhys was not at Exist Skate park as he was on tour for several months. I was told this by James, who proceeded to call the man in the hat from Hobos who had initially instructed me to see Rhys. The man in the hat instructed for me to see James instead. 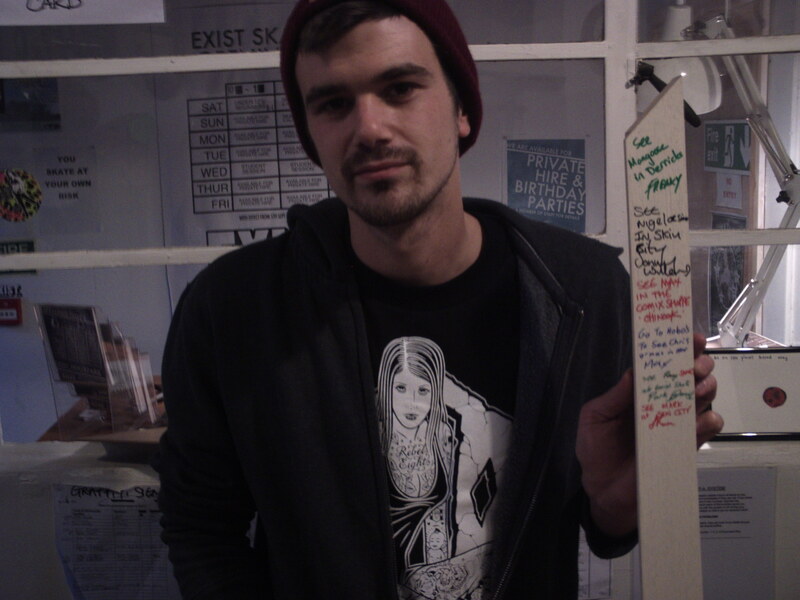 James gave the picture a flyer for VON D, a dubstep music performer who has been sponsored by Exist Skate Park and is on a European Tour. James then sent me to see Mark at Sin City.